I have been interested in astronomy ever since I remember. 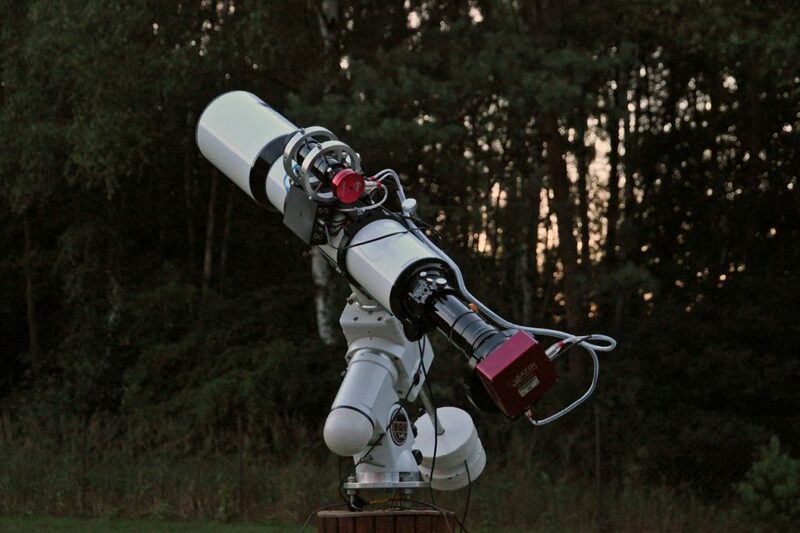 Quite long time ago I built my first ATM 7″ newtonian and had quite a lot of fun during observations. It was pre CCD era (at least for amateurs). Then I had a astro break for about ten years, but old love does not rust and I got back. Currently I am mainly astro photographer – not visual observer. From my backyard it’s easier to reach faint fuzzies with CCD camera than an eye. However using well known SCT8″ it is possible to catch quite a few nice views when conditions allow, especially globular and open clusters, planetary nebula, and compact galaxies. 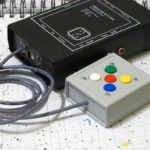 I will not write here about my setup – it changes and evolves, worth saying that I used mostly newtonian scopes for astrophotography. With all its inconveniences and disadvantages it offers the most aperture for the price. And you know – in astronomy the bigger the better 🙂 Starting from 2015 my astrogun was 130mm apochromatic triplet. And it seems to prove its value (and weight 🙂 ). 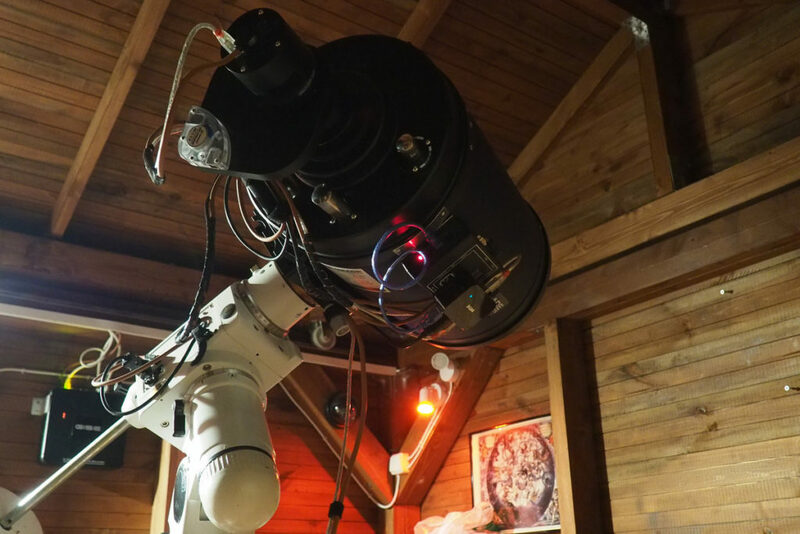 In 2017 I exchanged it for bigger aperture again to play with larger scale and also photometry and spectroscopy. 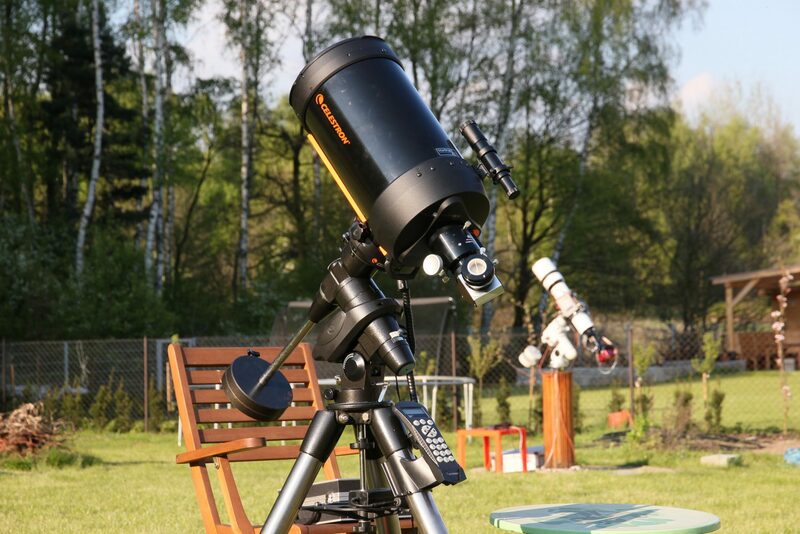 This time I have chosen Meade ACF 10″ telescope. Also few DSLRs and cameras went over my hands, then Atik314L+ and Atik383 CCD cameras, and currently I am testing CMOS QHY163M device and it looks I will keep this little gem. I live at southern Poland small city Nieborowice. 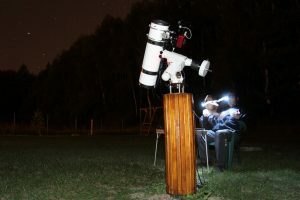 Climate here is not exceptionally astro friendly, clouds are quite common visitors, so there is plenty of time for another activities, like ATM or building sky shed 🙂 It took me two years of preparations and three months of building stuff up.